The best way to thank us for our service is to refer us to your family and friends and to leave us a testimonial. Thank you so much for your support! ​Huge rave to Lakeside Property Maintenance for honest personable service! After another company told me I definitely had asbestos in my attic, even though they hadn't had it tested, and gave me an exorbitant quote to remove the vermiculite...Francis from Lakeside came in at 7am, so that I didn't have to take time off work, quoted almost 1/2 the price but told me he wasn't sure it contained asbestos at all. He recommended that I have it properly tested and even arranged for the lab to contact me about the testing. It turns out he is correct. Absolutely no asbestos. I so appreciate his honesty and want to reward him by spreading the word about his business! I have worked with Francis for years on countless projects. He is very well organized and he has earned the trust of his clients through hard work, dedication and commitment. Good job Francis and my friends at Lakeside Property Maintenance. Keep up the great work! 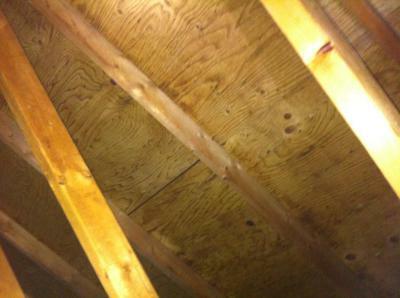 What a great professional job Francis and his crew did cleaning up and insulating our crawlspace. Would highly recommend them. If Francis is involved you're going to get the job done quickly and to highest standards! WOW, WHAT A PROFESSIONAL! MY HUSBAND CHARLIE AND I WERE SO PLEASED TO BE ABLE TO HAVE A SKILLED WORKER, KNOWLEDGEABLE AND REASONABLE IN HIS PRICE. WE HAD A ROOF THAT WAS AROUND 12 YEARS OLD, WHEN WE HAD MONTHS OF TORRENTIAL RAIN AND WIND STORMS, THE LIGHT IN THE KITCHEN BEGAN TO POUR WATER ONTO THE KITCHEN FLOOR, WE PAID $1200 TO HAVE THE LEAK FIXED, THEN IT LEAKED ALL OVER THE DINING ROOM AND STARTED LEAKING IN THE SUN ROOM. WE CALLED IN THE SAME ROOFER AND HAD THE WHOLE ROOF REPLACED. 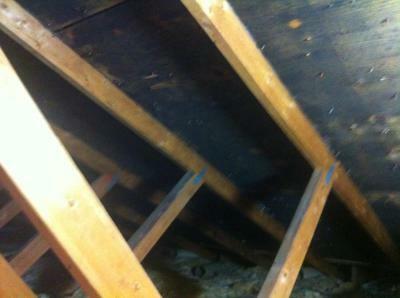 HOWEVER, THE TORRENTIAL RAIN HAD CAUSED MOISTURE IN THE ATTIC RESULTING IN WHITE AND BLACK MOLD. WE RECEIVED SOME WRONG INFORMATION HOW TO DEAL WITH THE MOLD, THEN FRANCIS CLAYTON WAS RECOMMENDED TO US BY (PAT/OWNER) REMAX ,LAKE COWICHAN AND WE OWE HER A DEBT OF GRATITUDE. WE HAD CONTACTED FOUR HARDWARE STORES AND TO FRANCIS’ EXPERT KNOWLEDGE, HE SAID THEY WERE ALL WRONG IN THEIR INFORMATION ON OLD PRODUCTS. ONE STORE SAID USE PURE BLEACH (ALL I COULD THINK OF WAS THE PERSON’S LUNGS APPLYING IT) AND THE SMELL IN THE HOUSE. ANOTHER STORE SAID TO USE 30 SECONDS, WHICH WE FOUND OUT LATER WAS WRONG, AS IT AS FOR EXTERIOR NOT INTERIOR, THEN WE SPENT $200 FROM A HARDWARE STORE IN DUNCAN WHICH WE HAD TO TAKE BACK AS AGAIN THE INFORMATION WE HAD RECEIVED WAS WRONG. THE PRODUCT WAS RECOMMENDED BY T.V. MIKE HOLMES, BUT IT WAS TO CONTROL MOLD ONCE YOU GOT RID OF IT. FRANCIS AND HIS COLLEAGUE DAVE CAME IN AND SPRAYED THE ATTIC.FRANCIS HAD 15 YEARS EXPERIENCE AND USED A TOTAL DIFFERENT PRODUCT WHICH NOT ONLY CLEANED OUR ATTIC OF ALL THE MOLD, THEN USED AN INHIBITOR THAT WOULD PREVENT THE MOLD FROM RETURNING. MY HUSBAND AND I WERE COMPLETELY SATISFIED WITH THE WORK OF HIS COMPANY, HIS COLLEAGUE, HIS 15 YEAR RECORD, HIS PROFESSIONALISM AND HIS HONESTY AND INTEGRITY.